"THE LITTLE HAMPTONS" : Hampton Bears, New pattern for Leticia a large antique German style artist teddy bear. Hampton Bears, New pattern for Leticia a large antique German style artist teddy bear. 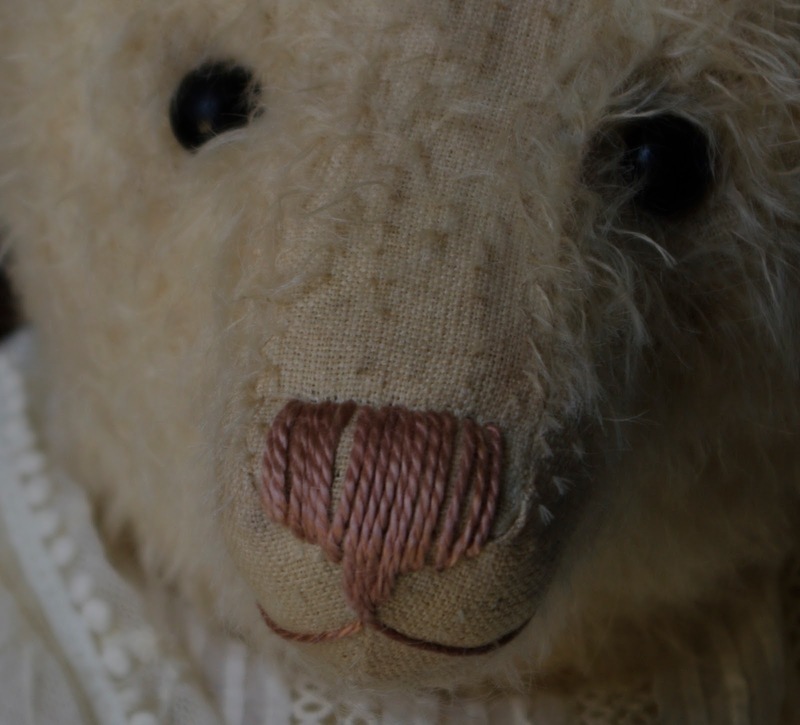 It's 2016 already and I've put together a new pattern for a quite aged, big bear, Leticia. She is 21 1/2" tall, fully jointed and my choice of materials is a medium length , sparse mohair. I go into some detail on the aging process I use and there are helpful pictures in the 9 pages of instructions plus the pattern. The pattern is for the bear only. I have dressed Leticia in an antique baby dress and lace shawl for you to see how pretty she can look.